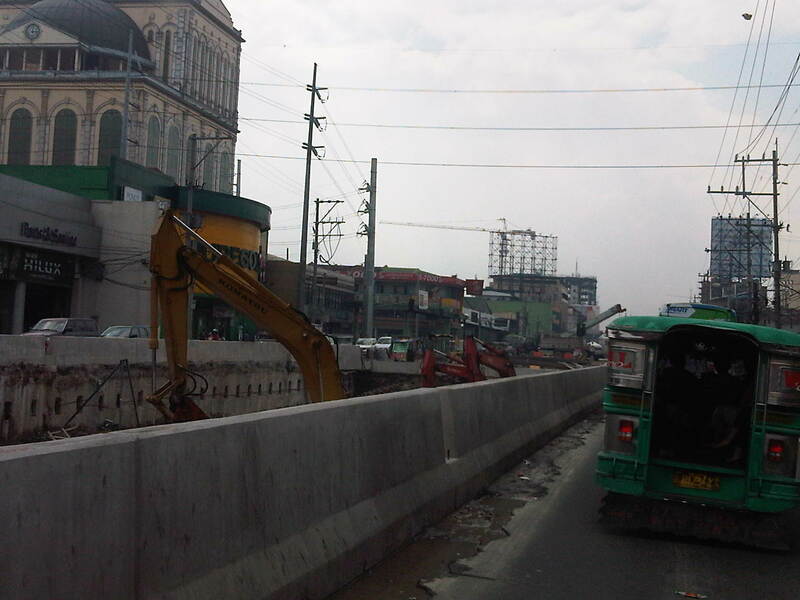 The underpass along Quezon Avenue (Radial Road 7 or R-7) for its intersection with Araneta Avenue (Circumferential Road 3 or C-3) is currently being constructed. The project was approved last year and it designed to relieve congestion at this busy junction of two major thoroughfares. 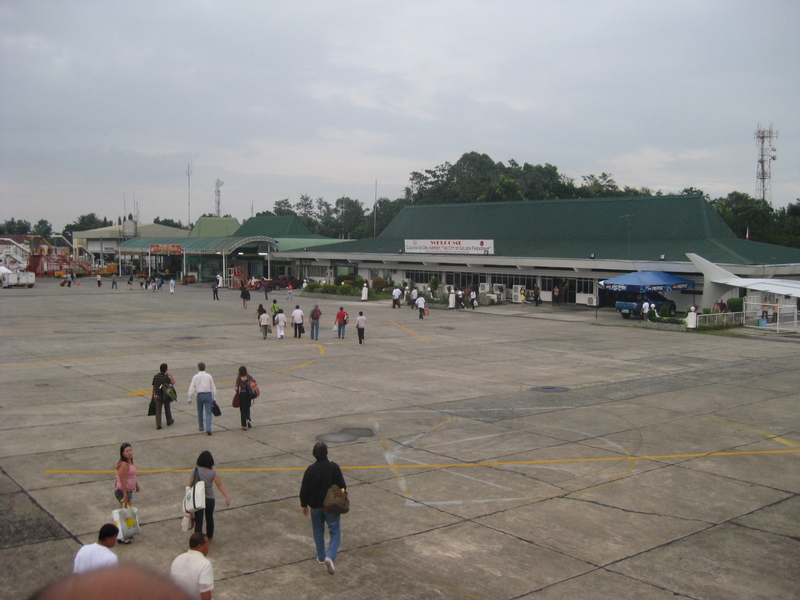 Among the alternatives considered for the intersection was a 4-lane overpass to be constructed along Quezon Avenue similar in design to the overpasses in Iloilo and Cebu cities. One concern, however, that needed to be explained thoroughly by the DPWH to stakeholders, especially the Quezon City government, was the prospect of flooding. 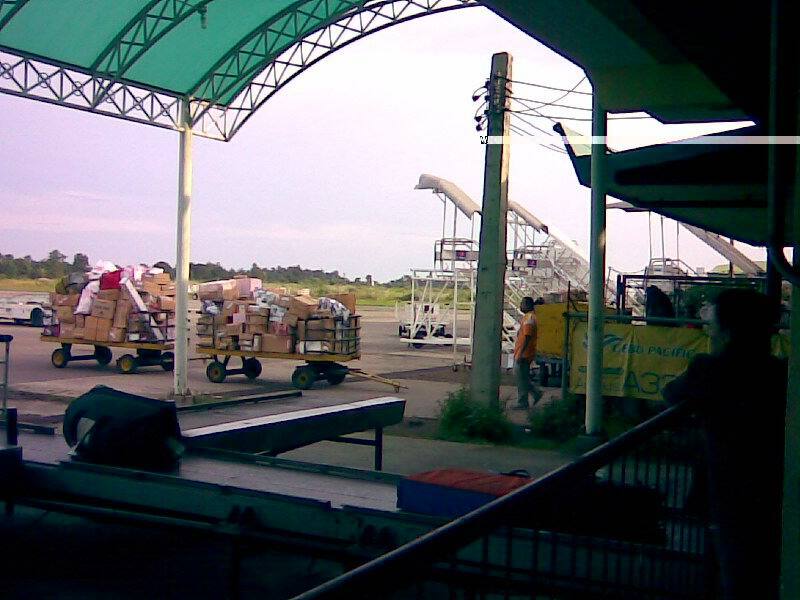 The area, particularly the part of Talayan Village, is prone to flooding with water reaching waste-level that can be brought about by heavy rains. 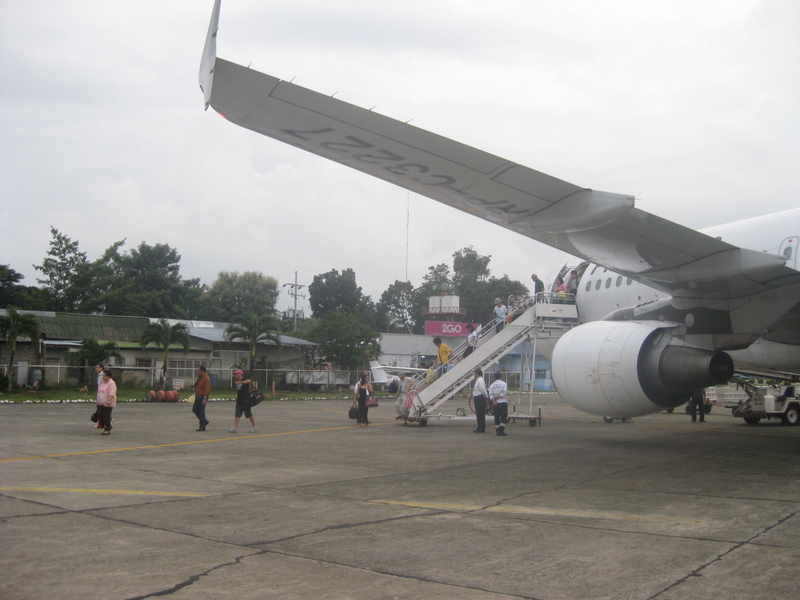 It may even be worse for rainfall of the Ondoy or Sendong kind. 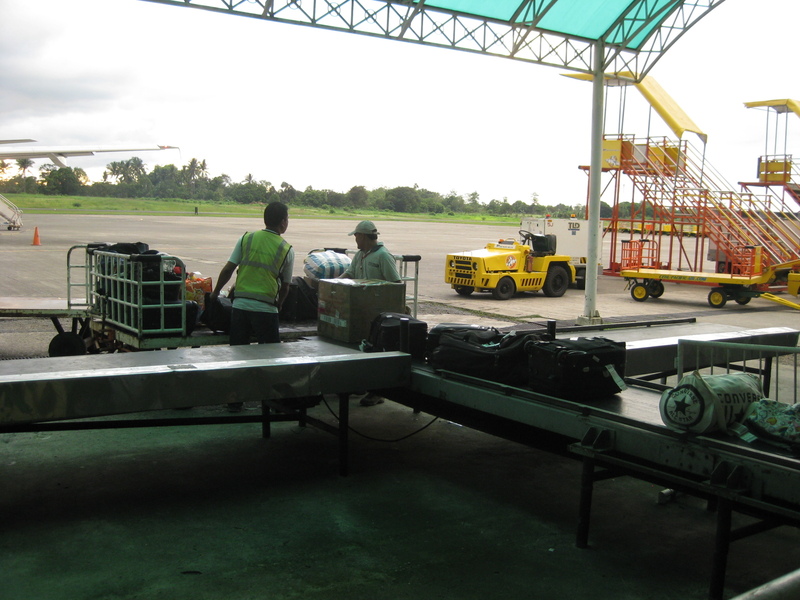 The project seems to be proceeding at a good pace with a lot of activities in the past months. Congestion does not seem to be as serious as what had been anticipated, thanks in part to an aggressive campaign that included information on alternative routes for motorists. Still, it is recommended for the motorist to avoid the area and use other routes if possible as traffic can test one’s patience in this area. Some of the photos were quite dark as it was already past 5pm when I took them with a cell phone camera. I tried to adjust the brightness in order to have clearer images. 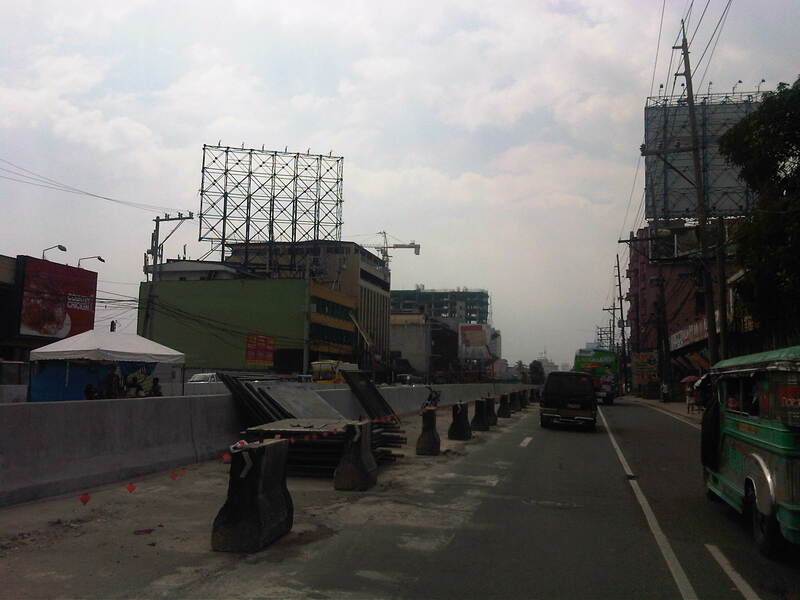 The concrete barriers are adequate for keeping vehicles off the excavated sections of Quezon Avenue. These seem to be permanent barriers for when the underpass is already operational. Manila-bound approach to the Quezon Ave.-Araneta Ave. intersection where there are effectively 2 lanes available to traffic. It can be quite congested here during the regular weekdays as the original 5-lane section Quezon Ave. narrowed to 2 lanes due to the ongoing construction of the underpass. There used to be a pedestrian overpass at the intersection. This had to be dismantled to give way to the construction of the underpass. Remnants of the overpass remain in the area. After crossing Araneta Ave., Quezon Ave. still effectively has 2 lanes as temporary concrete barriers protect the innermost lane beside the underpass barrier. 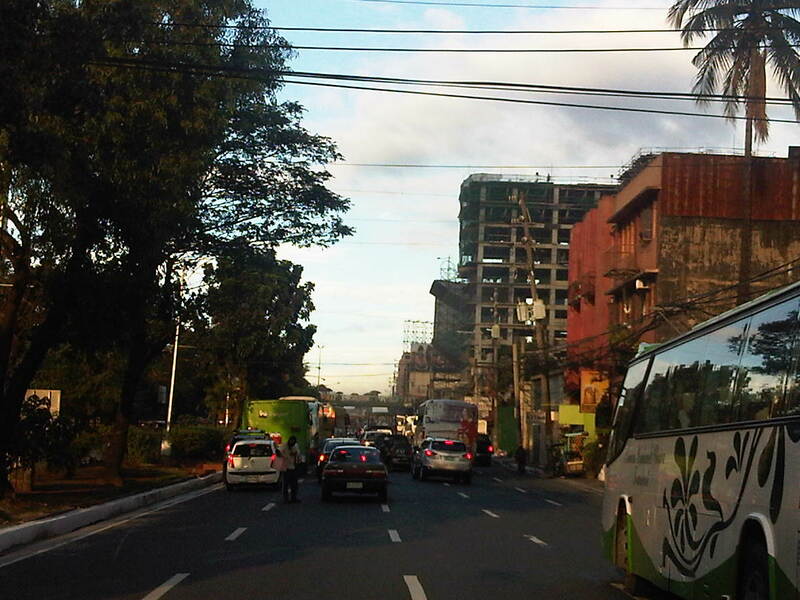 Approaching the site from Manila, there is already congestion along the 5-lane section of Quezon Ave. This section will also eventually narrow down to 2 lanes. 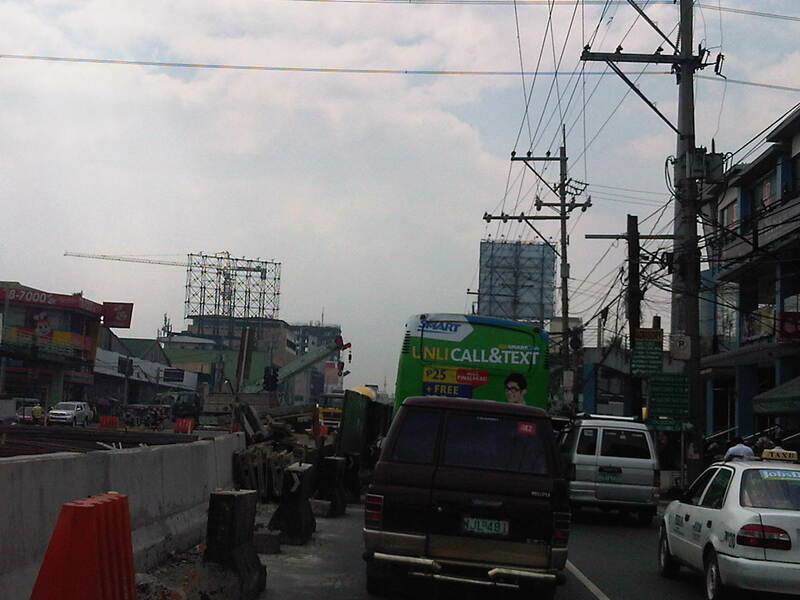 The Quezon City-bound approach to the intersection along Quezon Ave. also has only 2 lanes left available due to construction materials and equipment. As in the opposite side of Quezon Ave. one lane of the at-grade level of the road is not available to traffic due to the construction works. At the intersection, the remains of what was a pedestrian overpass can be still be seen. 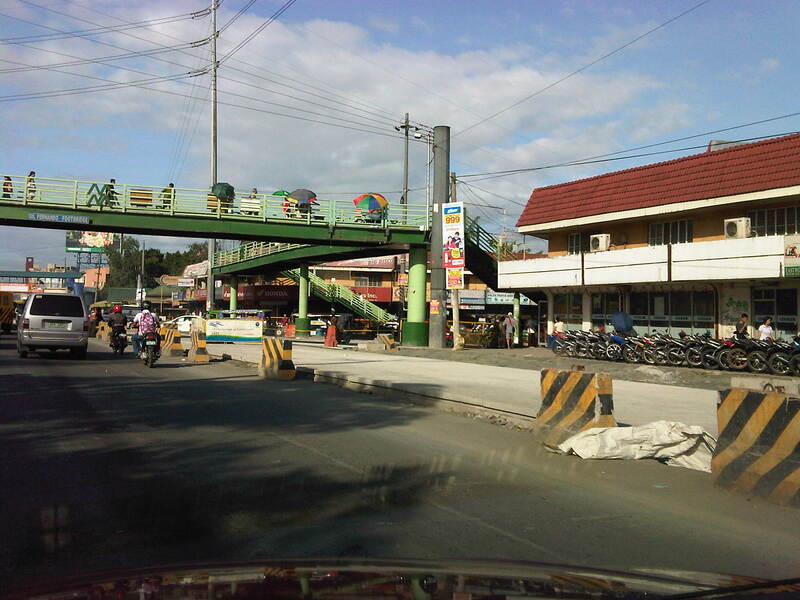 The overpass crossed both Quezon Ave. and Araneta Ave., allowing for pedestrians to walk across the intersection without conflict with motor vehicles below. The intersection itself has not been excavated and it will be a “Herculean” task to manage traffic once this phase of the project is implemented. Both R-7 and C-3 are high volume roads and the MMDA and QC enforcers would have their hands full, and definitely more challenging than what they are contending with at present. This intersection will still be at-grade in the future and should feature a traffic signal to manage the remaining traffic movements as through traffic along Quezon Ave. will eventually flow continuously along the underpass. About 100 meters past the intersection, traffic is free flowing along Quezon Ave. as 2 lanes become 3 and then 5 – a basic principle in traffic flow theory. 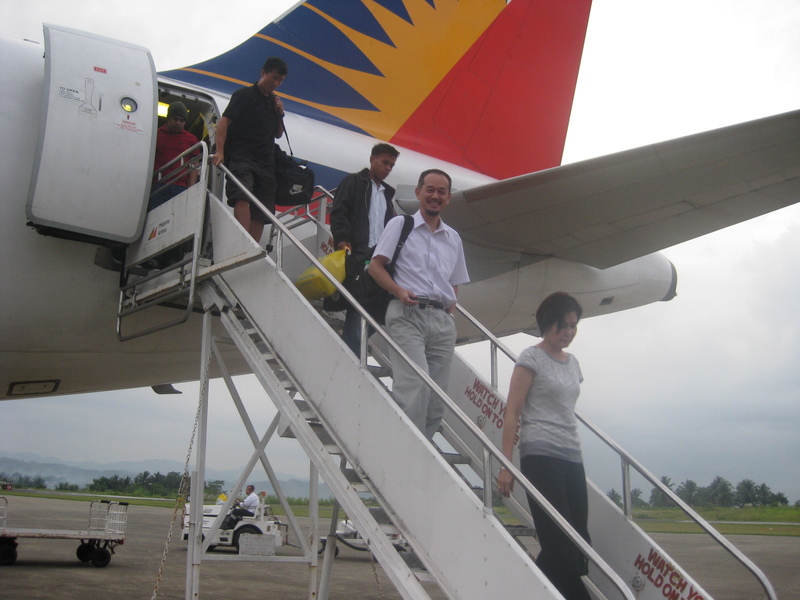 A good thing for the project is the approaching school break after March 2012. Should construction proceed at the current pace (or even faster) they should be able to have the underpass operational by the time school opens in June 2012. 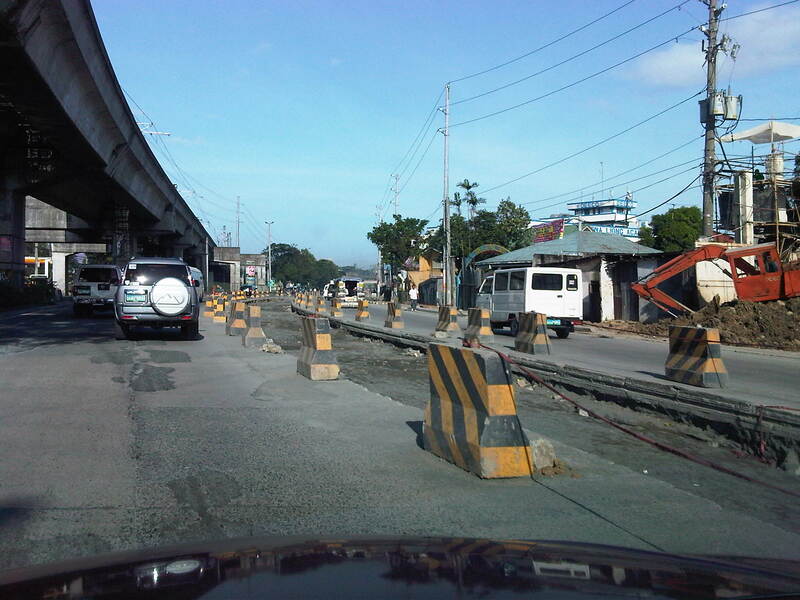 The contractor should take advantage of the typically good weather in Metro Manila from January to May so as to finally relieve road users of the inconvenience caused by the project implementation. On another note, the underpass is similar to what was proposed for the case of C5-Kalayaan before the MMDA decided to turn that intersection into a showcase for their U-turn scheme, culminating in the construction of 2 U-turn overpasses in the area. The completion of the Quezon Ave.-Araneta Ave. underpass coupled with an effective traffic signal system setting at-grade may just prove the DPWH right in their pitch for the same intervention at C5-Kalayaan and revive discussions pertaining to a more effective solution to the congestion there. 1) Isn’t it too late for this, a campaign against a development that is already under construction and months after a decision has been made to approve the project? 3) Given this seemingly renewed (not new-found, I hope) interest in urban development in the area, wouldn’t it make more sense to also campaign against another development, this time by another real estate giant in Camella/Vista Land that already has set up shop across Ateneo? A colleague put forward an opinion that such developments are actually beneficial to Ateneo and its allies. In fact, many of the residents of the high rise condominiums in Katipunan have children studying at Ateneo and Miriam, their addresses being conveniently located minutes away from school. In other cases, units are rented by university students who similarly take advantage of the building’s proximity to their schools. I wouldn’t be surprised if enterprising people have purchased units not for them to reside in but to rent/lease out to students or other wishing to live near the universities or the nearby LRT 2 station (Katipunan Station). “The EIS Report failed to consider the traffic impact once the project starts to operate hence necessary measures were likewise not discussed. Many projects will, at first glance, give an impression that a traffic impact study would not be required. The Skycity development, however, immediately gives the layman an impression that it would indeed have a significant and long-term impact on traffic in its direct vicinity. 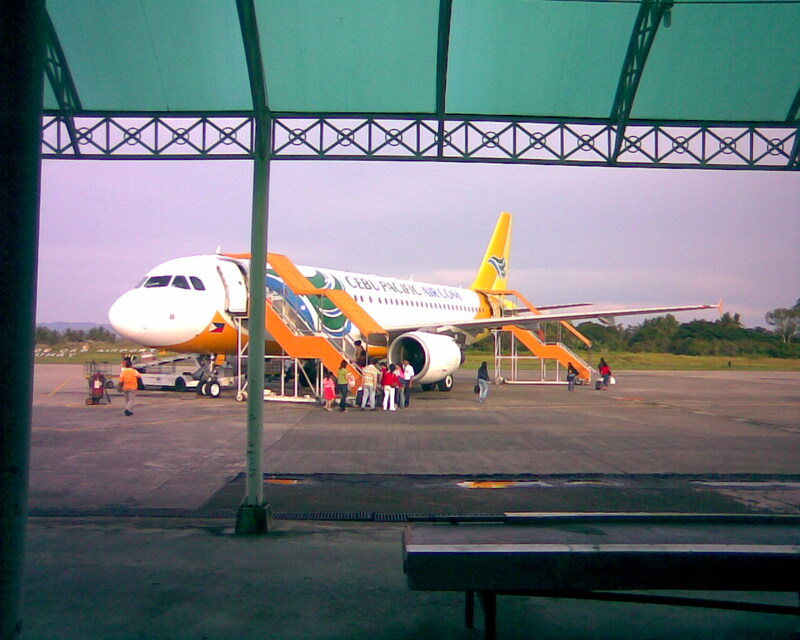 While its influence area can only be clarified via a thorough study of the characteristics of the development, the description and hype alone by the project proponents give us an idea that Skycity will impact people from as far as Rizal province. In the process of attaining these objectives, this paper will identify the deficiencies and weaknesses pertaining to transportation and traffic and establish the need for detailed traffic studies, specifically the requirement of a Traffic Impact Study (TIS). The TIS will entail traffic impact analysis (TIA) to satisfy the questions or concerns regarding the traffic generated/attracted by the Skycity project and the consequent problems that will be caused by the project from its construction to eventual operation. What are the transportation improvements needed to serve the traffic generated by the new development? How much will the improvement cost be and who will pay for them? Will the new project impact traffic on any existing residential streets and how will those impacts be mitigated? Will the new development aggravate any existing safety hazards or create new ones and, if so, how can those hazards be corrected? Can the proposed development be served by public transportation and does the design encourage ridesharing? Is the design of the development friendly towards bicyclists and pedestrians who need to access the development or who need to pass through or by the development? Is the on-site parking sufficient or is there an opportunity to share parking with other adjacent uses? How many driveways are needed, what design should each driveway have and is there a long enough throat for each driveway that is clear of parking spaces and other cross aisle traffic? 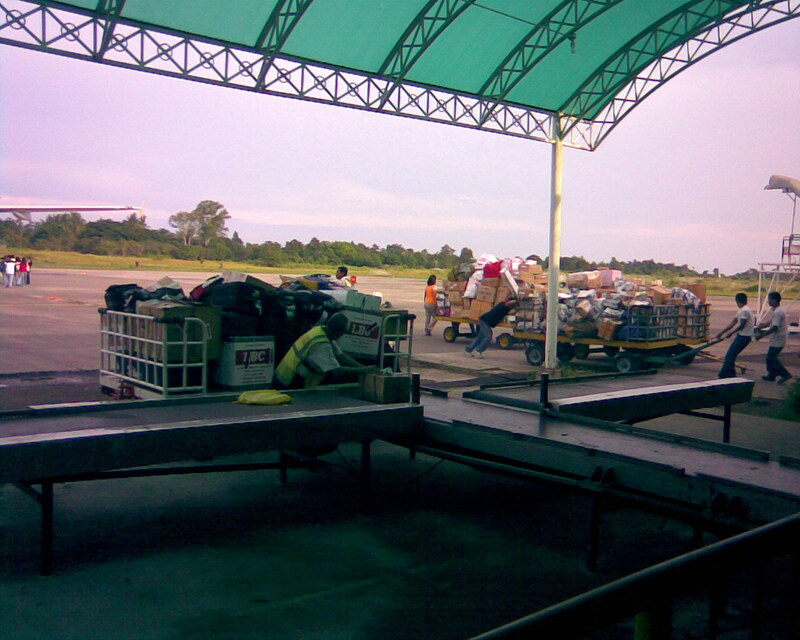 Conduct of TIA will deal with deficiencies in traffic analysis as well as provide a platform for a package of measures to deal with issues: what measures? who will pay? what level of development? Until then, it’s not possible to concretely evaluate the EIS. That provision of several parking floors as presented in the EIS cannot be a solution. The above quotation is from a report submitted as part of the response of stakeholders that scrutinized the Environmental Impact Assessment (EIA) report submitted by the proponents of the project to the DENR-EMB. The latter was presented at a stakeholder conference held as a prerequisite to the approval of the project (i.e., prior to granting an ECC). 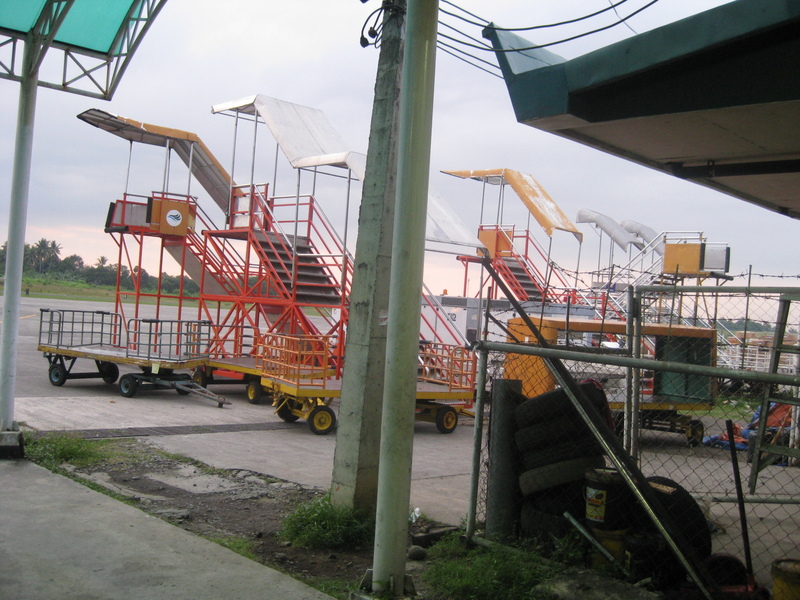 There are other aspects of the project including drainage, water supply, structure, foundation, environmental, etc. 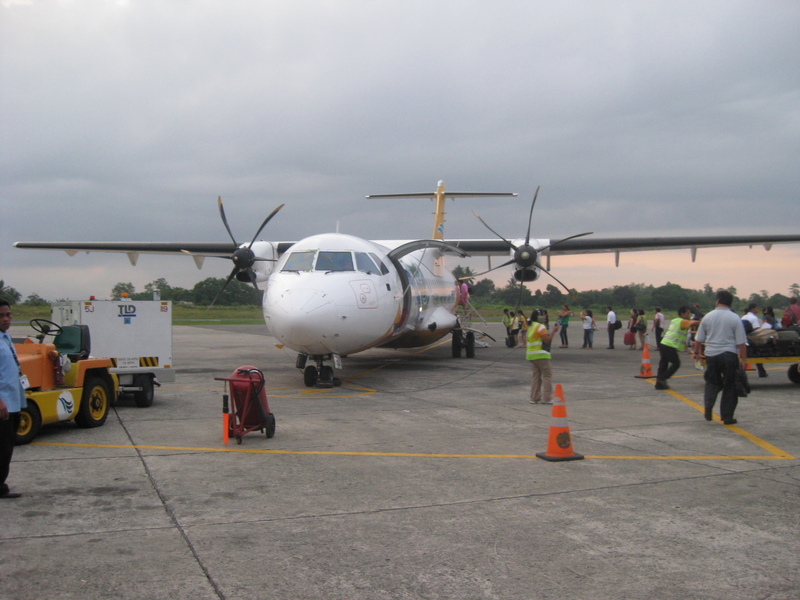 that were discussed with proponents and stakeholders arguing about the pros and cons of the project. 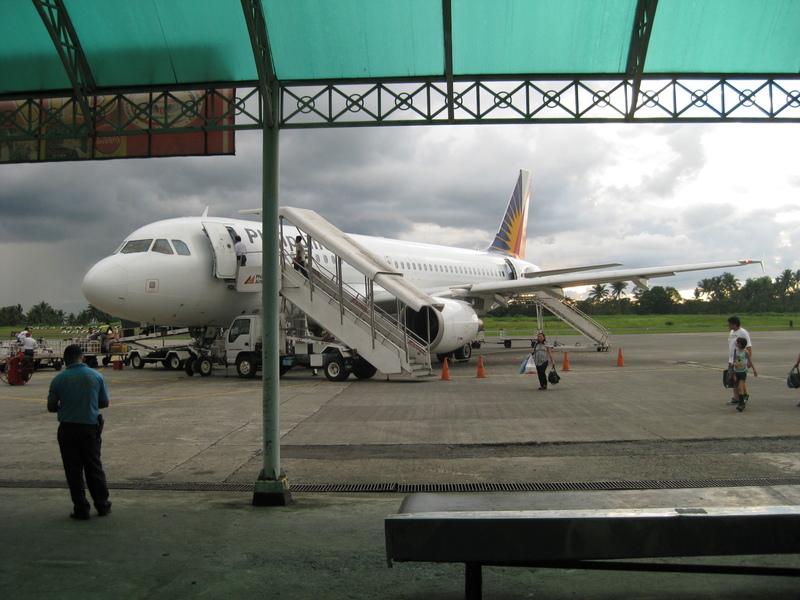 However, the most important element here is timing since the discussions occurred prior to the granting of an ECC to the project and after the stakeholders have presented their case before the DENR-EMB’s EIA Review Committee assigned to the project. I am not aware of how SM Blue went about securing the approval for their project including the ECC and if the process was followed according to the guidelines. I am also not aware of whether there was a stakeholder conference held and if Ateneo and its allies were invited and participated in that meeting. 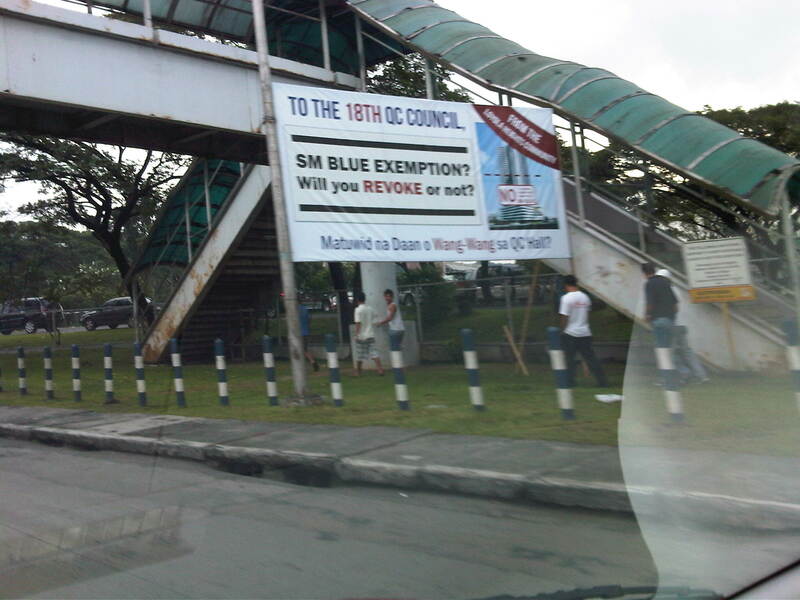 Was this organized by the EIA RevCom or was this hosted by the QC Council (because of the zoning issue)? Such matters are important since it would help in establishing whether certain people are at fault and whether certain processes and requirements were indeed followed with regards to the project being questioned. 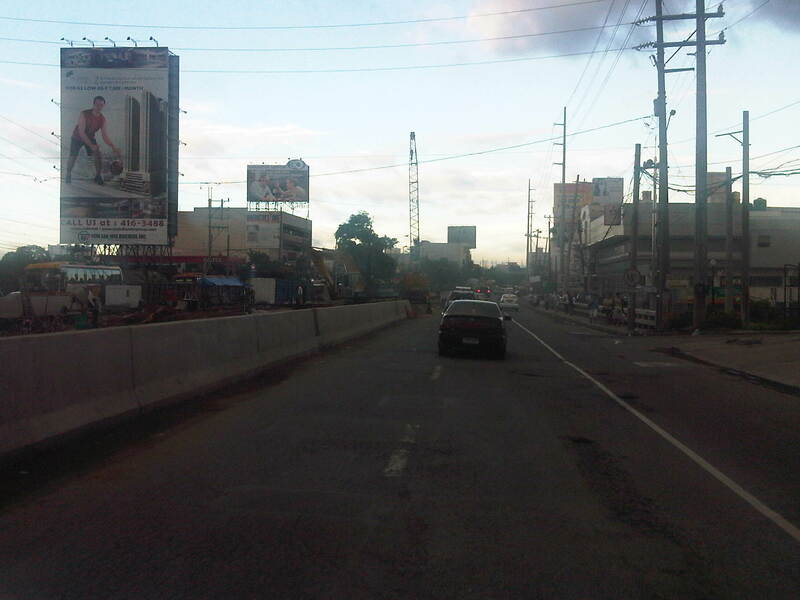 Driving to my in-laws’ home the weekend before Christmas, I was able to pass along the newly paved section of Commonwealth that now connects directly with Quirino Highway. While there are still much evidence of the construction project like materials and soil from excavations, traffic signs have been installed and pavement and curb markings were mostly completed including the yellow box. One can compare the photos below with those in an earlier post found here. 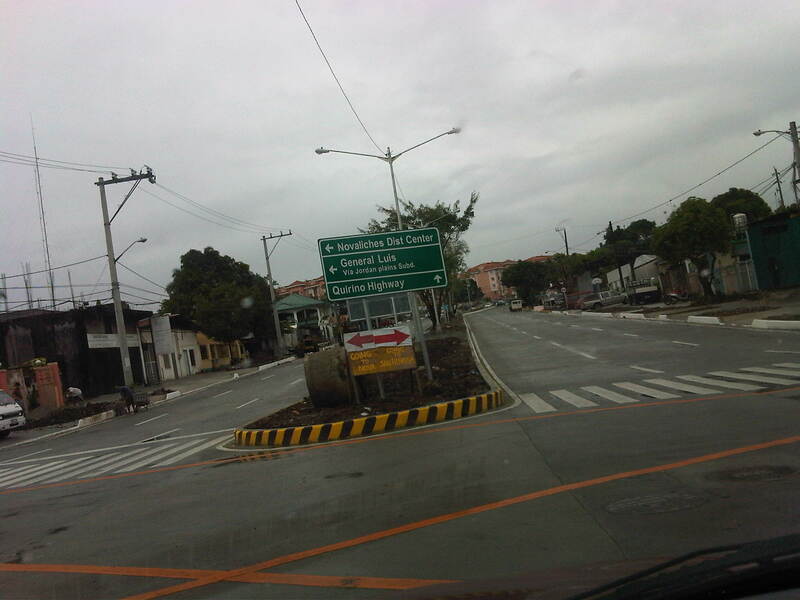 The intersection at the Jordan Plains gate already has directional signs showing the way to points of interest like the Novaliches District Center (sort of a mini City Hall), General Luis road (via Jordan Plains Subdivision) and Quirino Highway, which is up ahead from the intersection. On the day before Christmas, most leftover construction material were already removed from the area and the approach to the intersection is shown below. The 4-lane northbound side of Commonwealth becomes 3 lanes from the intersection. The opposite southbound direction with 3 lanes widens to 4 lanes after the intersection. 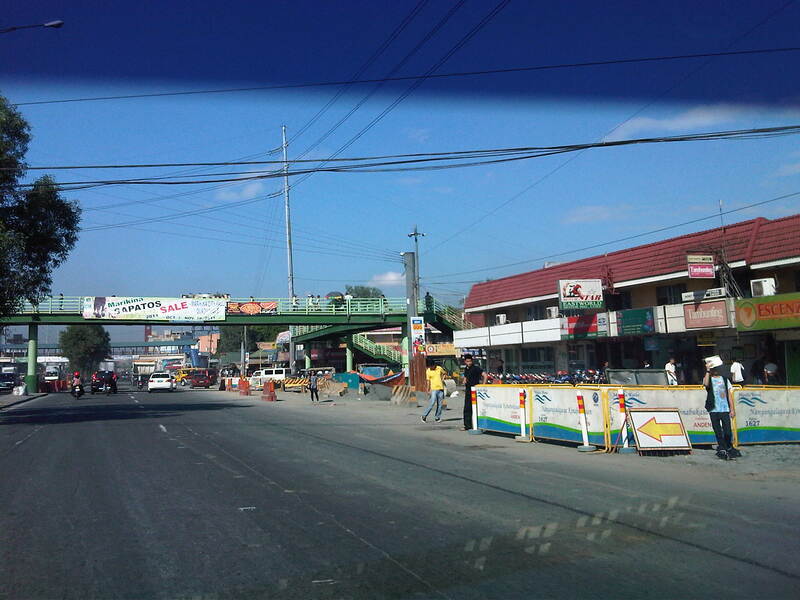 Approach to the intersection with Jordan Plains to the left and Quirino Highway up ahead. The buildings up ahead are part of the San Benissa Garden Villas. So far, I have only observed light traffic along the intersection but this should eventually become a major intersection and may require traffic signals once motorists become more familiar with this route. 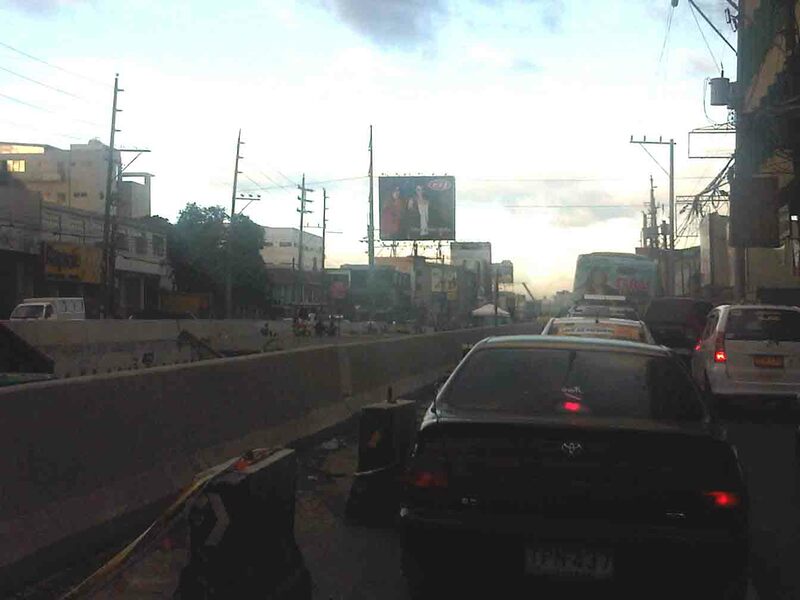 Already there are some experiences of congestion at the intersection with Quirino Highway as it is currently unsignalized despite the volume of traffic at the area. Considering the typical behavior of motorists, it is not unthinkable that conflicting flows eventually translate into constrictions as drivers generally do not give way even to those with a clear right of way. Thus, manual enforcement will have to be present, firm and consistent in order to be effective in managing traffic at Commonwealth-Quirino. 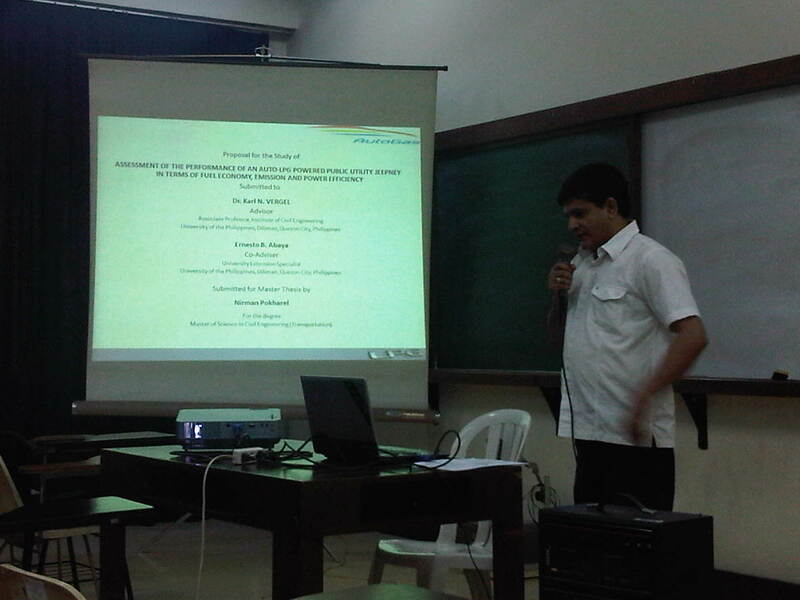 Graduate students majoring in Transportation Engineering at the University of the Philippines Institute of Civil Engineering (UP-ICE)currently conducting their research through the NCTS presented during the graduate seminar held last December 15, 2011. 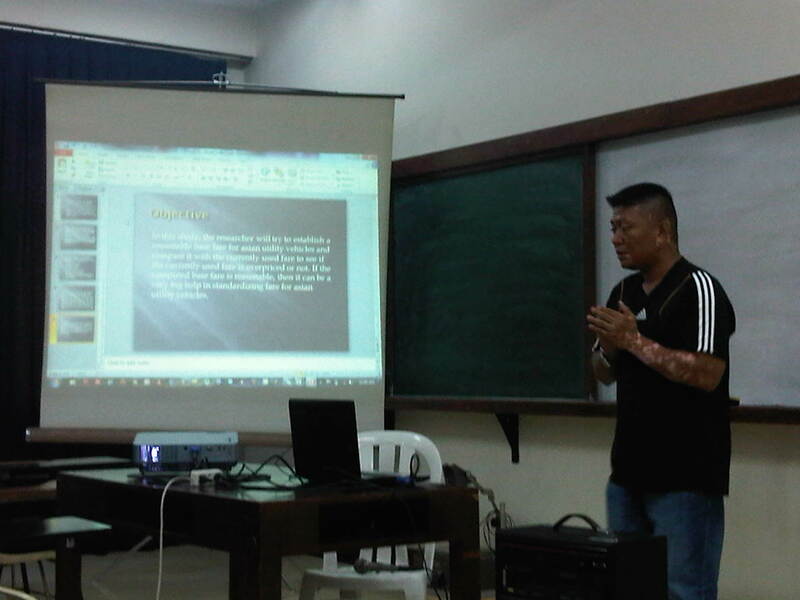 There were 4 presentations made during the seminar, which was attended by 3 faculty members of the UP-ICE: Dr. Karl Vergel, Dr. Sean Palmiano and Dr. Regin Regidor. Following are a few snapshots from the seminar, which was facilitated by Mr. Ernesto Abaya, D3 student under Dr. Vergel, who is also a technical staff of the NCTS. Mr. Nirman Pokharel, a Nepalese student presented on the progress of his research on the public utility jeepney (PUJ) application of Auto LPG. Mr. Nirman is also working with researchers of the Vehicle Research Testing Laboratory (VRTL) of UP Mechanical Engineering. 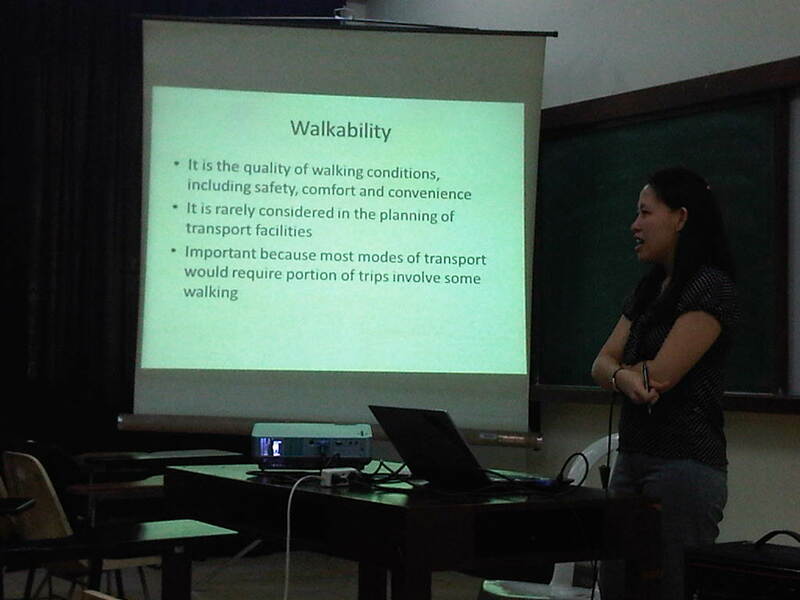 Ms. Anna Tiamzon presented her preliminary research proposal on walkability. She is a faculty member of the University of Sto. 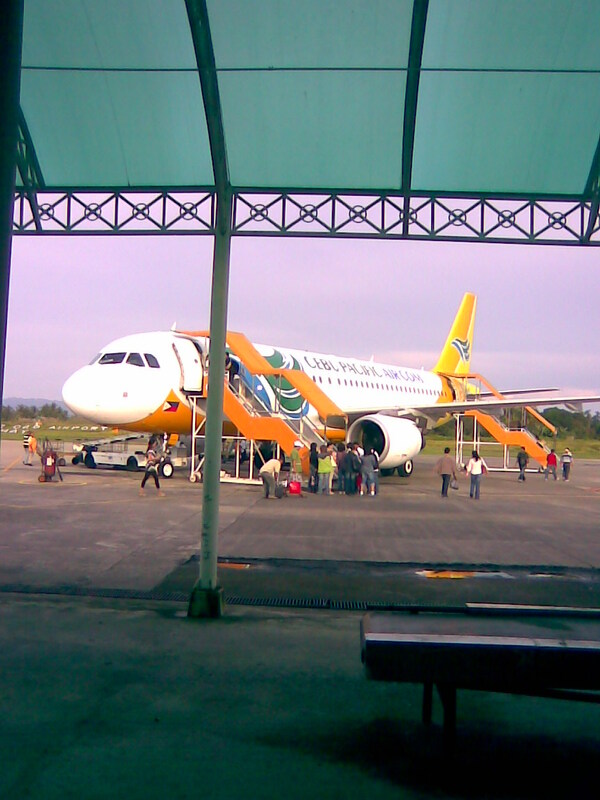 Tomas (UST) in Manila. Mr. Edmon Favila presented his preliminary proposal on fare setting for UV Express services (van-type service) in Metro Manila. 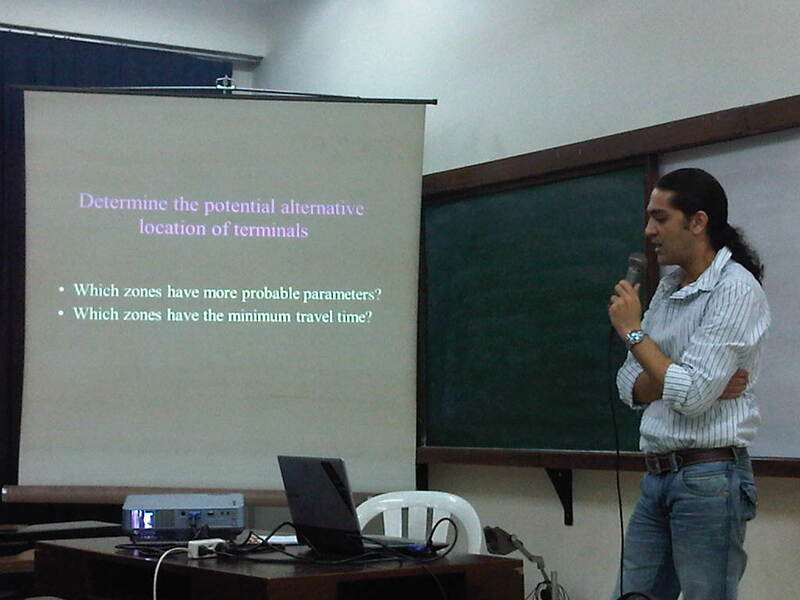 Mr. Ali, an Iranian student, also presented a preliminary topic on the determination of bus terminal locations for Metro Manila. Other graduate students who were not able to present in the December seminar will be making their presentations in January 2012 including two PhD program students and 3 MSCE students. The undergraduate students of the Transportation Engineering Group (TEG) of UP-ICE made progress presentations earlier last December 7, 2011 and are on-track to complete their researches by March 2012. 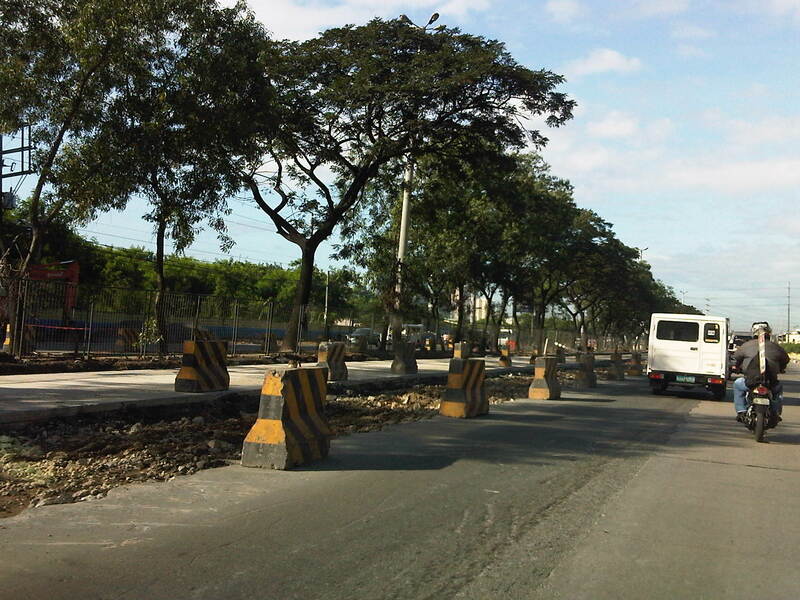 Revisiting Marcos Highway: a work in progress? 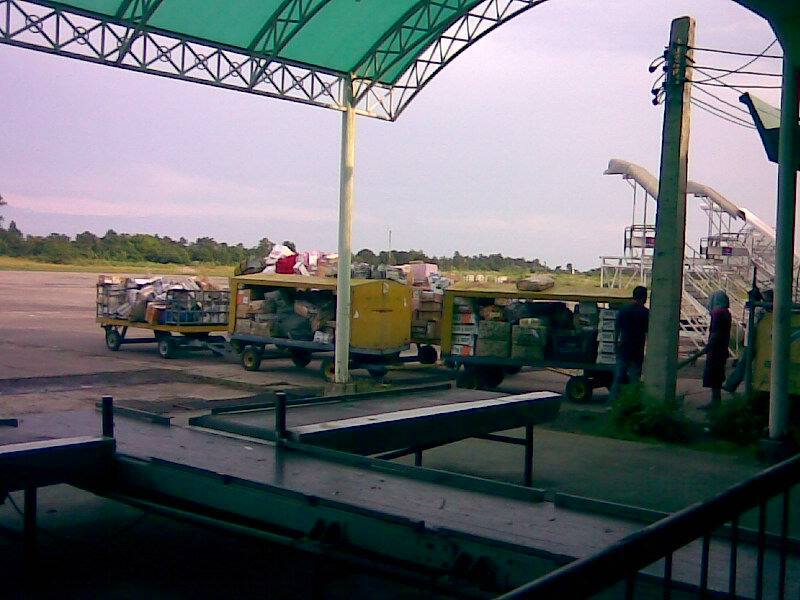 December 18, 2011 11:45 pm / 1 Comment on Revisiting Marcos Highway: a work in progress? I was able to take some photos along Marcos Highway before the rains came over the weekend just to have a handle on the current state of roadworks along that road. I had written recently about the progress along Commonwealth Ave., particularly the stretch connecting to Quirino Highway. In that project, the contractors constructed a culvert across Commonwealth that took quite some time and yet has been completed many weeks ago. 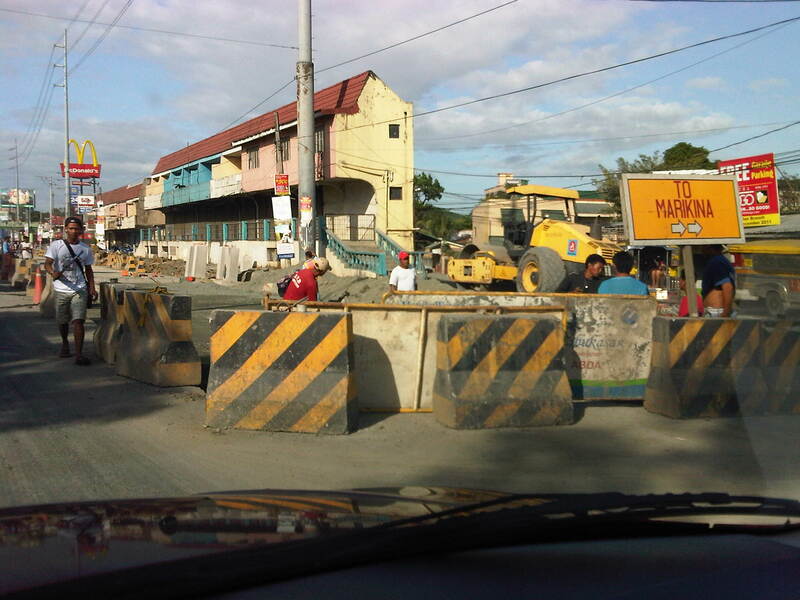 Unfortunately, for those using Marcos Highway, it seems the inconvenience (to use a diplomatic word) will continue on considering the seemingly chaotic approach the contractors have been employing in digging up the pavement. Of course, it is a major project and I am sure many people will ultimately be thankful for the new drainage (hopefully, it’s maintained well) and the brand new pavement that will make travel smoother. But then the completion of the Marcos Highway works seem quite far in the horizon and has effected tremendous losses in travel time and fuel. Section across Burger King and in the vicinity of a U-turn slot intended for traffic generally coming from Imelda/Felix Ave. 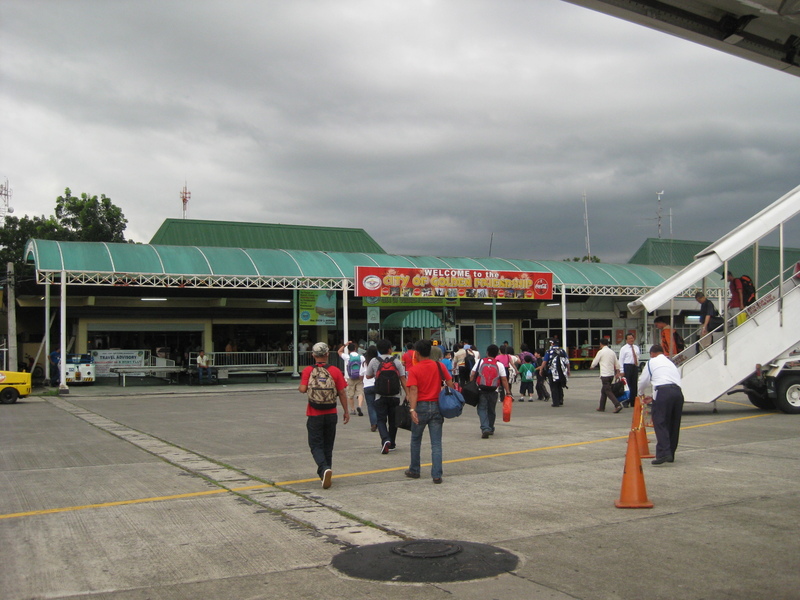 The site is a bottleneck for traffic coming from Masinag and the villages along Marcos Highway. Due to the road works and the U-turn slot, there are only 2 lanes effectively available for through traffic that originally flowed along 4 lanes. Past the bottleneck, the Marcos Highway seems quite spacious with the equivalent of 3 lanes suddenly available to motorists. At right, there is the work area of a water concession who is supposed to coordinate with the road project contractor. 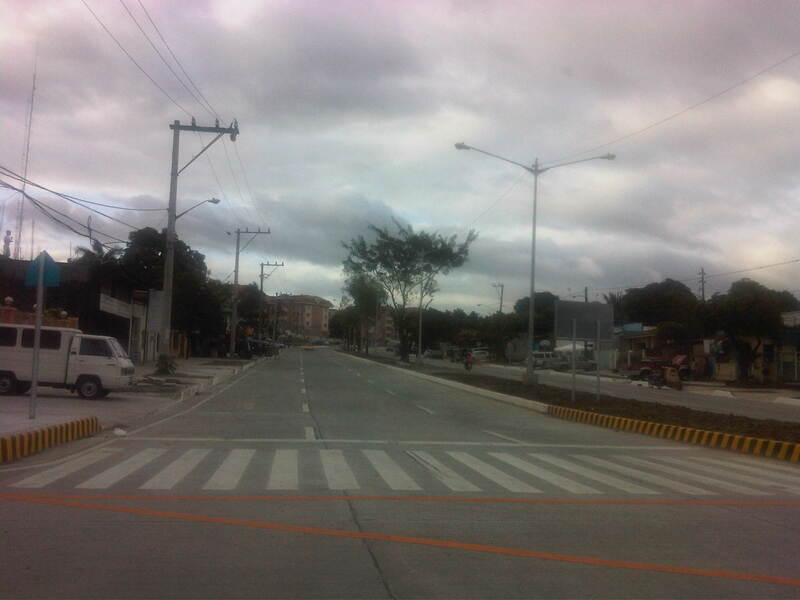 Newly paved lane at the approach to the junction with Imelda Ave/A. Tuazon Ave. 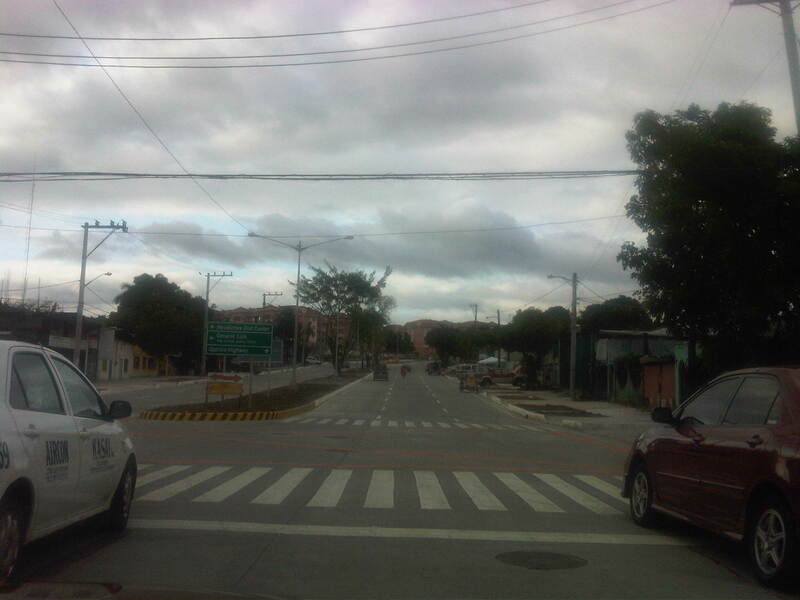 The works at this intersection has affected turning traffic to and from A. Tuazon Ave. At one time, right turns from Marcos Highway were prohibited due to construction affecting the entire intersection exit to A. Tuazon itself. 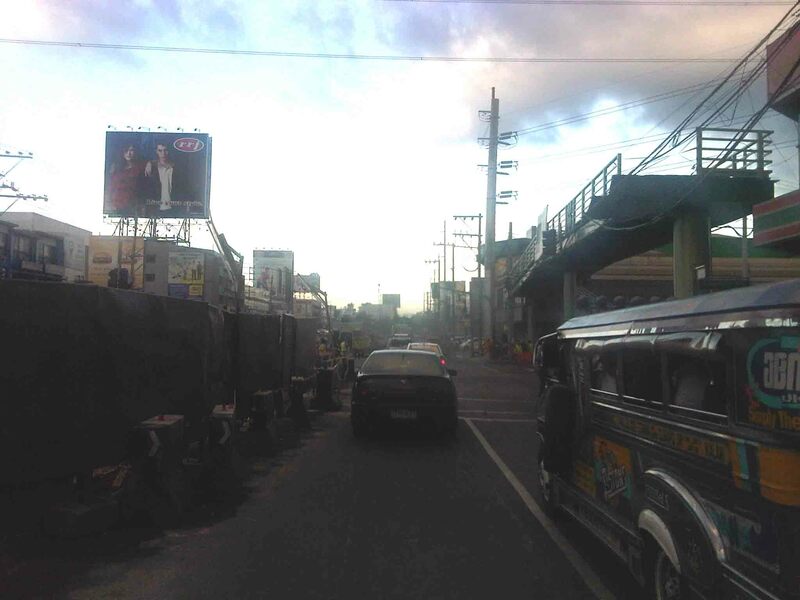 After passing Dela Paz and approaching Ligaya, motorists will usually encounter another bottleneck due to the U-turn slot for vehicles generally coming from Amang Rodriguez (Pasig) and bound for Marikina. 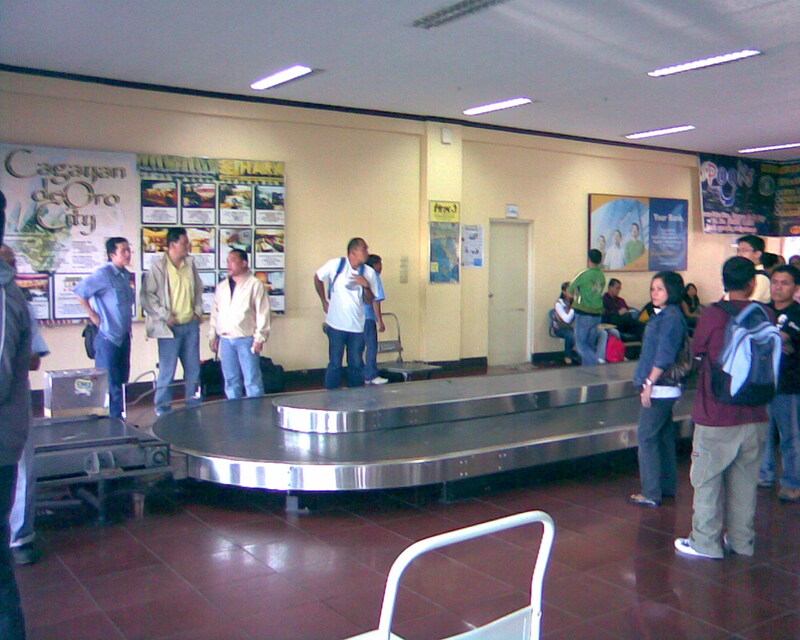 The area is usually constricted even with traffic enforcers present. 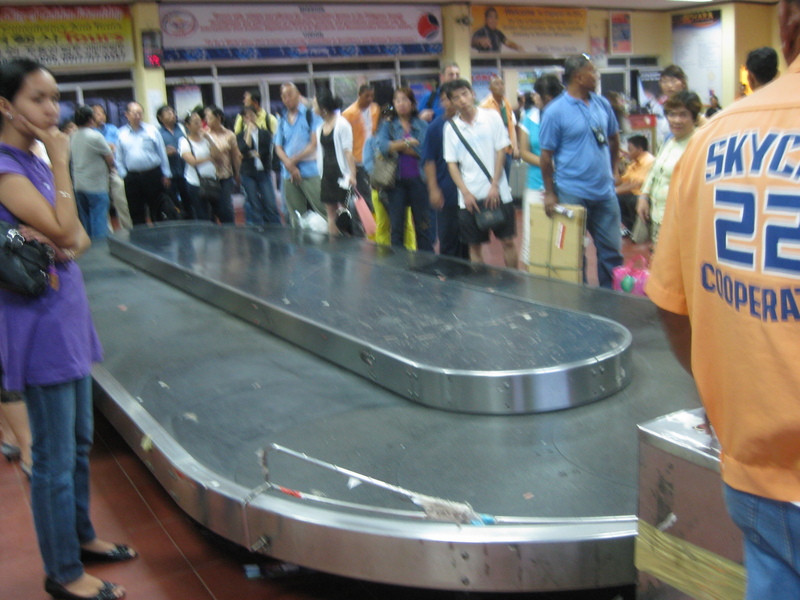 These enforcers are usually found engrossed in checking for number coding violators than managing traffic. At present, there project contractor has paved the innermost lane of the section and this morning that lane is already passable to vehicles. Problem is, the same vehicles will discover that they will eventually run into the U-turn slot and motorists would have to swerve right to converge with through traffic. 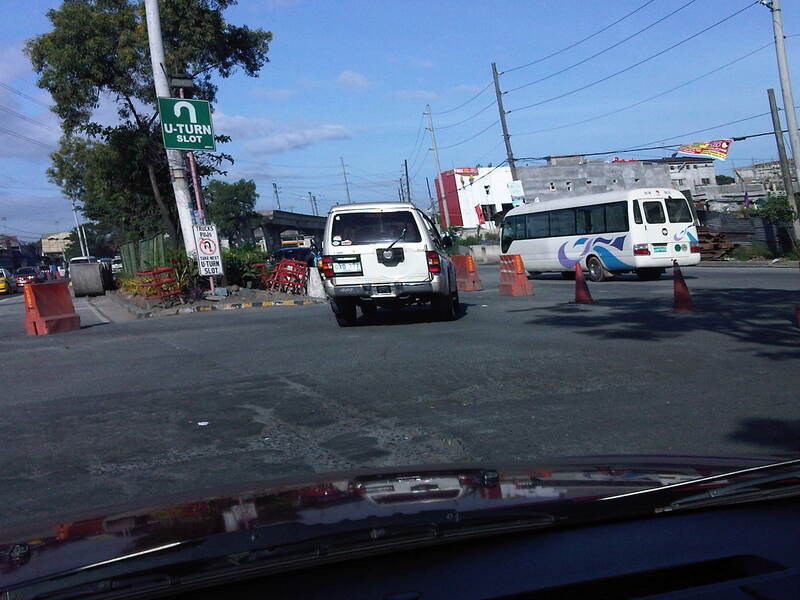 At the intersection of Marcos and Rodriguez, the traffic enforcers (probably in coordination with the contractor) made an opening to allow for counterflow during the peak periods. This is supposed to alleviate congestion at the intersection where aside from the still unfinished works, jeepneys tend to congregate and constrict the flow of traffic. Such occurs on a regular basis and one wonders how Pasig and MMDA enforcers can just stand around and not do anything about this predicament. 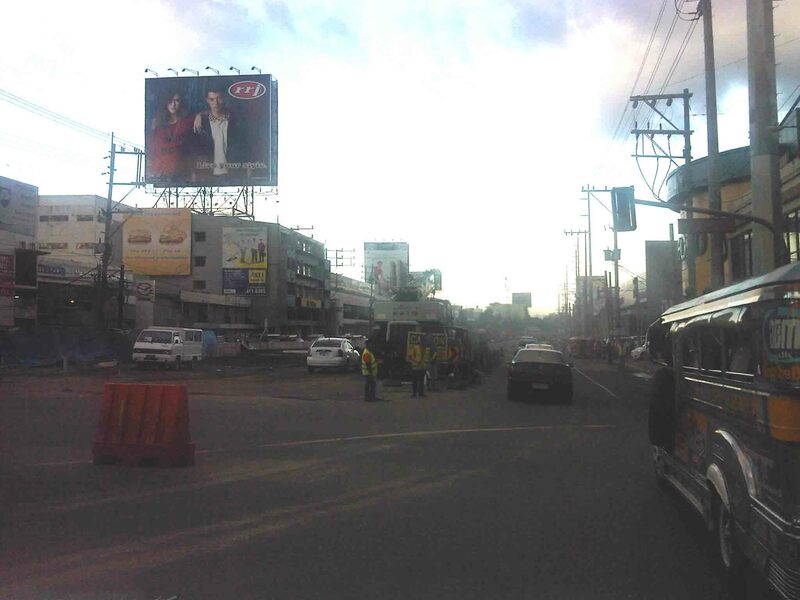 After Ligaya, traffic flow is split with vehicles maneuvering left and right to avoid road works along a middle lane of Marcos Highway. The pavement on the right most lanes are newly constructed and have been passable for some time now. From the looks of the pavement on the left, these two will soon be scheduled for re-blocking. Perhaps the lane under construction now will be finished by then. 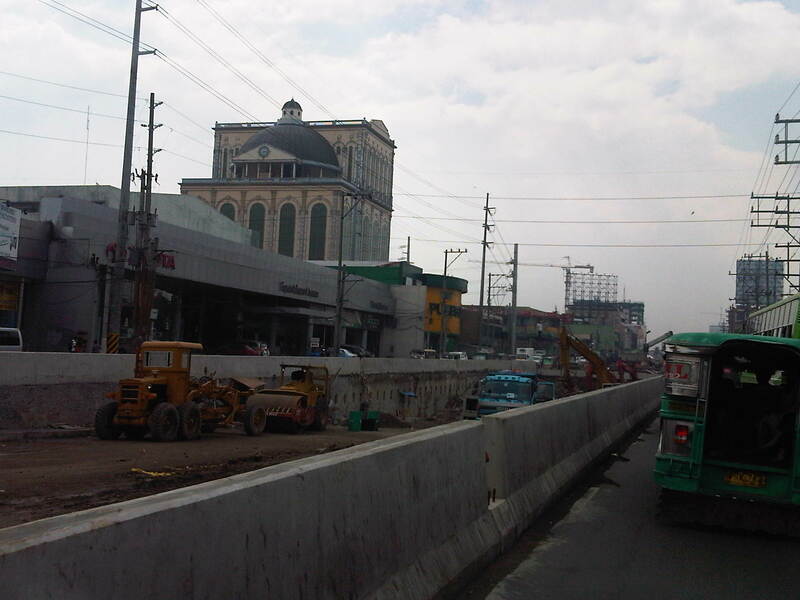 There are also drainage and road works ongoing on the other side of the highway and right in front along the LRT2 station. 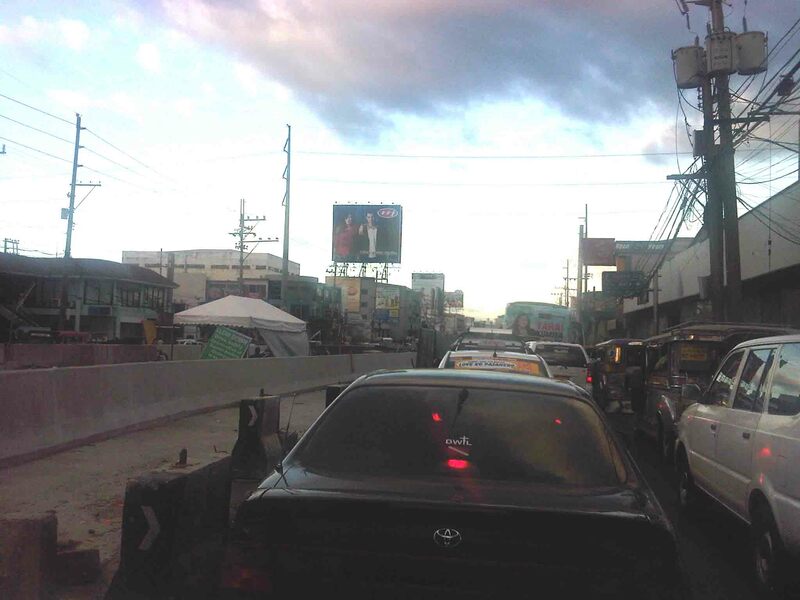 Often, commuters can be seen taking one lane of Marcos Highway as they try to get their rides from jeepneys who occupy yet another lane or two. During the night-time, another counterflow scheme is used for eastbound traffic with an opening just after the bridge. Of course there is hope for those using Marcos Highway regularly. Perhaps the project will be completed before school opens in June 2012 and by then flow will be smoother and congestion more bearable. We only need to look at Ortigas Ave and its extension to know that we are still quite lucky. It is far worse along that road. San Francisco’s trolley buses are probably among the last of a fading breed of bus transport still employing electricity to service various routes in that city. 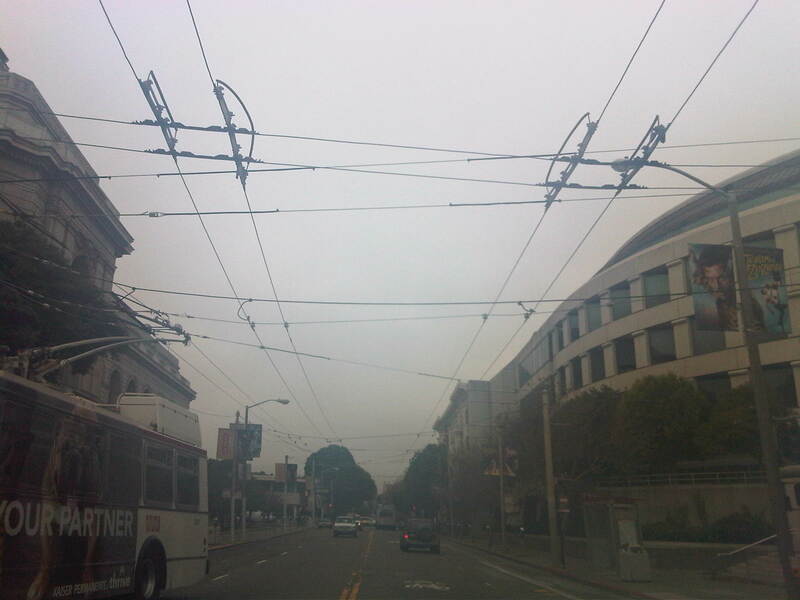 With a cousin driving our vehicles along McAllister Street, I was able to take photos of the overhead cables from which the trolley buses are able to pick-up electricity to power their motors. 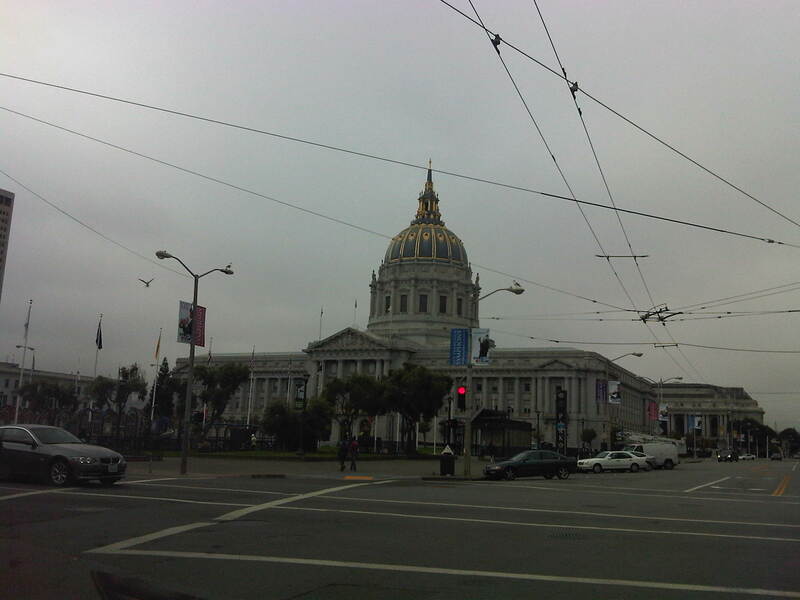 Overhead cables seem to be everywhere including the streets around the San Francisco City Hall located at the Civic Center. This is a photo of the intersection of McAllister and Polk Street. 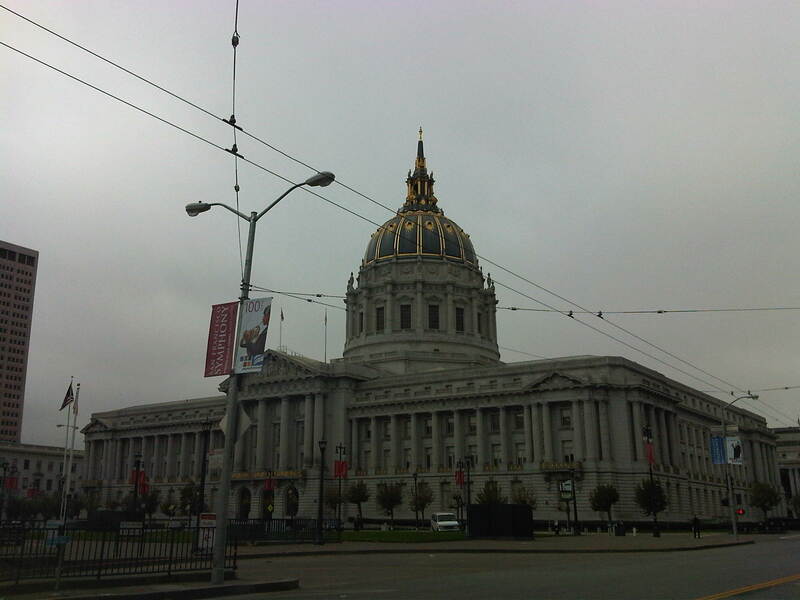 Another view of City Hall with cables running above McAllister. Notice the cables connected to transverse wires that are in turn connected to the light poles. Where buses turn, cables may also be found above. This is the junction of McAllister and Van Ness Avenue. That’s the Herbst Theater building on the left, which houses the Museum of Performance and Design, and the California Public Utilities Commission on the right. Those are two buses, one trolley and the other natural gas-powered in the middle of the photo. A close-up from the preceding photo shows the trolley bus with its long pantograph. The bus on the right runs on natural gas and is a low emission vehicle. A closer view of the overhead cables show how they are connected to the poles along the roadside. That’s a bus headed for the Transbay terminal. At front is a bicycle rack and the worm logo of Muni. 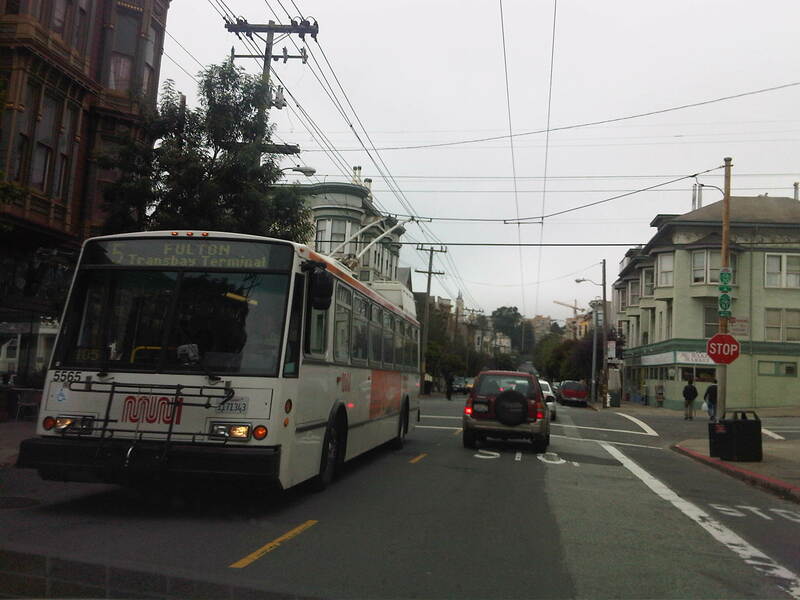 In the streets of San Francisco, one thing’s for sure – if you see those overhead cables along a road, you know that the trolley buses run along that street. 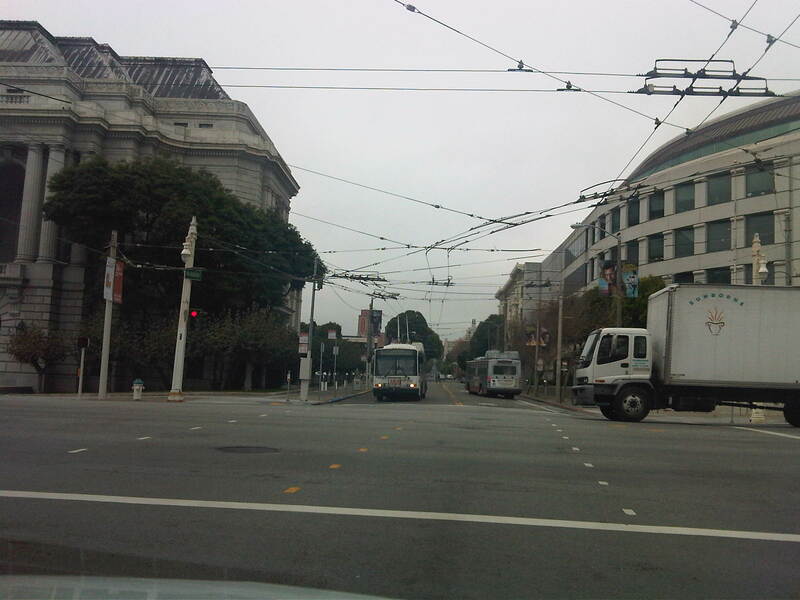 Most major streets in San Francisco are served by public transport, providing excellent mobility for its citizens. They say you can usually take or get off a bus within a block of your destination. If you have to walk, the walk is usually at a leisurely pace and generally in a safe environment. You’ll probably only encounter difficulties walking when you’re in the hilly areas like Nob Hill and Russian Hill where the streets can get quite steep. Still, the walk’s usually well worth it not just because of the exercise but also because of the view and the small neighborhood shops and restaurants along your way.